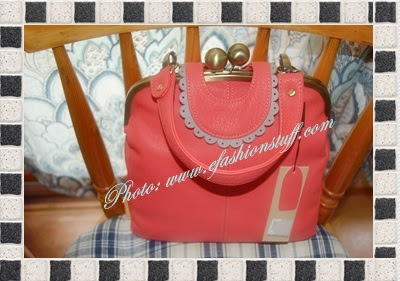 Entertainment and Fashion Galore: Meet my new purse! This is a new one because I still did not use it. I love the color, the style and of course the size. This fashion purse was the only one in the store and aside from that the opening button is the first one that attracts me on. This kind of opening button is a style in the old days, if you can recall there are lots of wallets before that has the same style. The fashion from old days came back now. I simply love this very extra ordinary design. So why not grabbing. The color is IN for this year fashion color design. So I've got it perfectly in time. This entry was posted on 11:34 AM You can follow any responses to this entry through the RSS 2.0 feed. You can leave a response, or trackback from your own site.